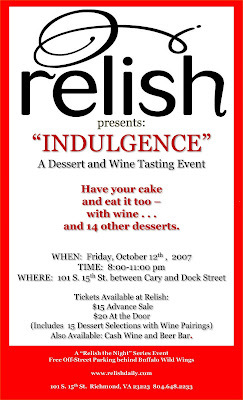 So after you hit the Wine Cellar for their free tasting this week, head on down to Relish for their dessert and wine tasting event. As the flyer says – $15 in advance or $20 at the door. Sounds like it will be a lot of fun!